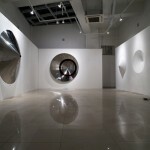 Sungfeel Yun, "Looking at The real world from within The real world 24", 2014, Stainless steel. 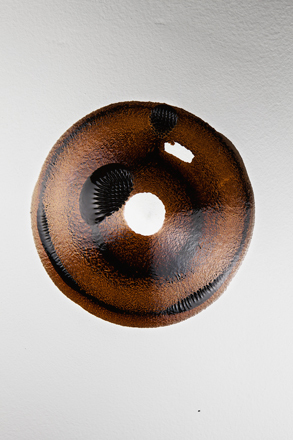 Sungfeel Yun, "Energy 16", 2014, aluminium, bolts, nuts, 40 × 40 × 20 cm. 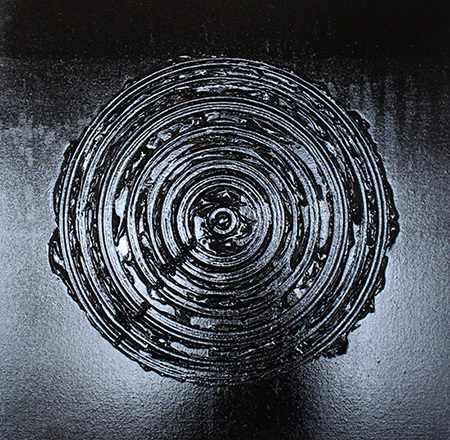 Sungfeel Yun, "Chaos, Cosmos, Circulation 02-06", 2014, acrylic paint on canvas, 72 x 71.2 cm. 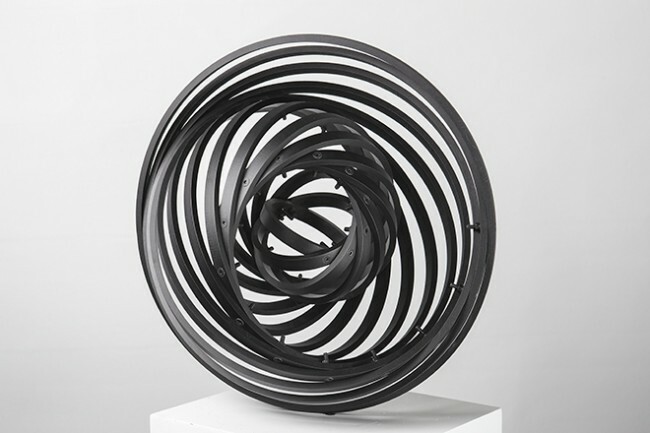 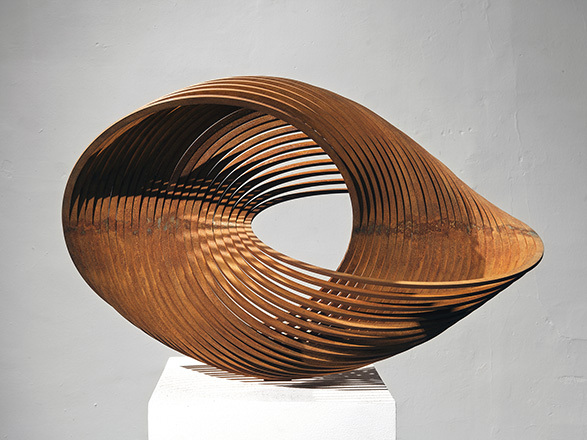 Sungfeel Yun, "Energy 19", 2014, steel, 64 x 40 x 40 cm. 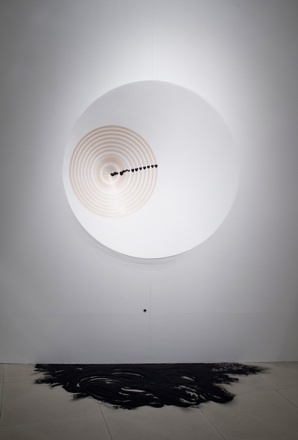 Sungfeel Yun, "Looking at the Real World from within the Real World 22", 2014. brass, magnets, motor, action sensor, coins, 60 x 60 x 15 cm. 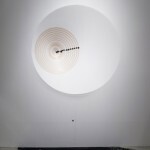 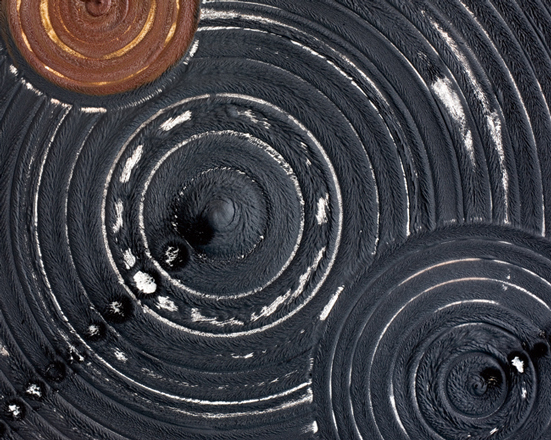 Sungfeel Yun, "Chaos, Cosmos and Circulation 01-06", 2009, iron powder, wood glue on canvas, 190 x 190 cm. 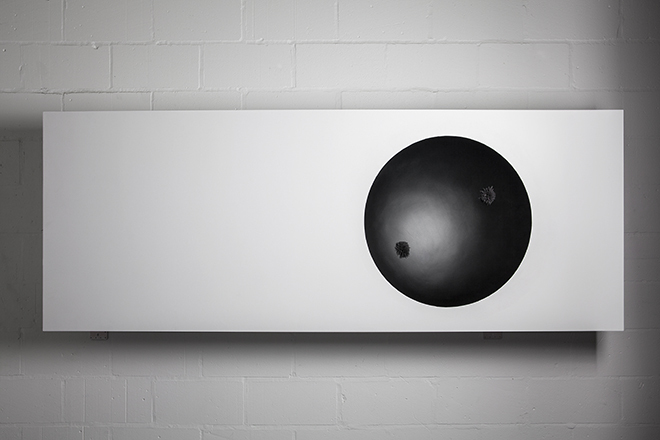 Sungfeel Yun, "Looking at The Real World from within the Real World 10", 2012. aluminium, iron filings, motor, action sensor, Magnet, 133 x 133 x 35 cm. 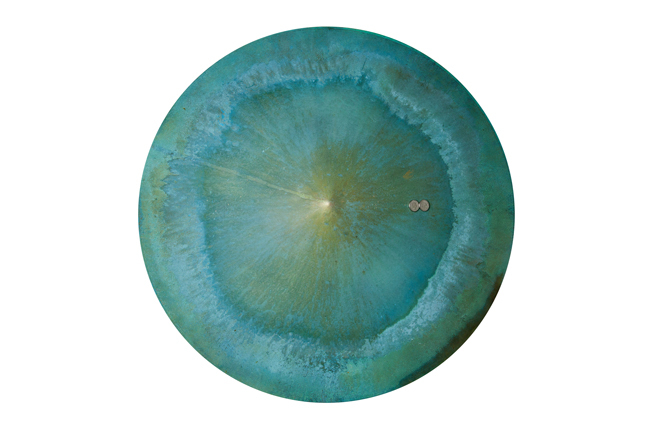 Sungfeel Yun, "Looking at the Real World from within the Real World 16 (detail)", 2014, paint on aluminium, liquid magnet, motor, action Sensor, Magnet, 110 x 110 x 25 cm. 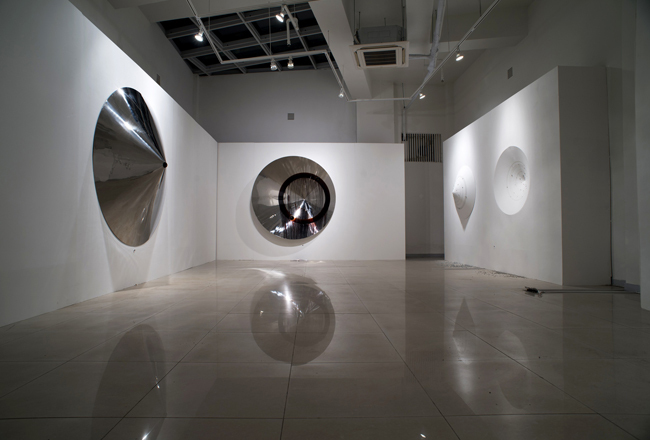 Sungfeel Yun, "Solo exhibition in Zaha museum in Seoul", 2012, Installation view.